Kayamkulam Kochunni box office collection: Nivin Pauly's Kayamkulam Kochunni was released on 350 plus screens making it the biggest release in Kerala by the virtue of its screen count. Kayamkulam Kochunni box office collection: Nivin Pauly film received a rousing welcome at the box office in Kerala. 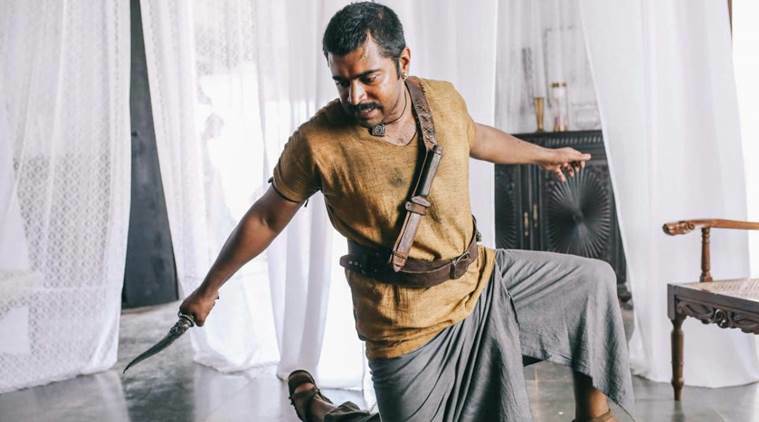 Actor Nivin Pauly has scored his career-best opening with his latest period drama Kayamkulam Kochunni, which opened in cinemas on Thursday coinciding with his 34th birthday. The movie was released on 350 plus screens, making it the biggest release in Kerala. According to reports, the film received a rousing welcome at the box office in Kerala. It has raked in Rs 5.3 crore on its opening day in Kerala alone. The filmmakers, however, are yet to officially disclose its worldwide collection. “Biggest opening day collection record now belongs to Kayamkulam Kochunni. Well deserved for Roshan’s craft. Kudos to Nivin , laletan , Gokulam Gopaletan , praveen and the entire team. #RosshanAndrews #nivinpauly (sic),” tweeted filmmaker MA Shrikumar Menon, who is busy finishing his upcoming film Odiyan starring superstar Mohanlal. Shrikumar also shared a glowing review of the costume drama that is based on the folklore of Kerala’s legendary outlaw Kayamkulam Kochunni. “Roshan Andrrews craft at next level. A well made film which transcends beyond the borders of Malayalam. Nivin very convincing as kochunni. Laletan lit up the screen. Overall a brilliantly made film. Loved it (sic),” he added. Mohanlal was seen in a cameo as Ithikkara Pakki, who inducts Kochunni to his gang of outlaws. The movie also stars Priya Anand and Babu Antony among others.